I made this card for a coworker. I loved this set when I first saw it, and finally got to use it. I used watercolor paper and blender pens to colour the image, and then topped it off with some crystal effects to make the eyes shiny! As always, you can click to order current products online, subscribe to My Paper Pumpkin, become a demonstrator, and contact me. 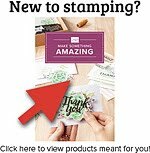 You can also click on any of the products I used on this card below to be taken directly to that page in the online store. Ridiculously late on this update... But it's a doozy! 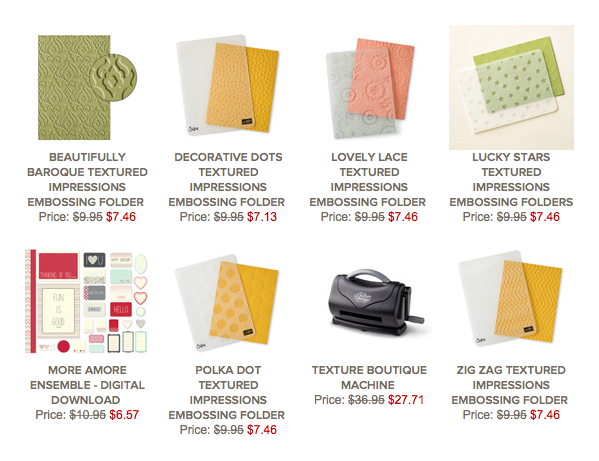 If you love embossing folders and can't spend the dough on a Big Shot, this is a great chance to pick up a Texture Boutique and some folders to get your fix! 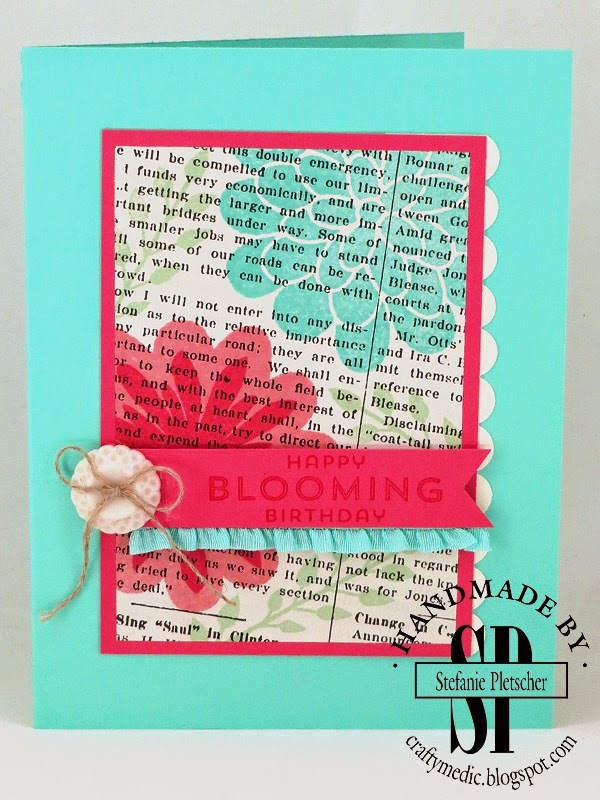 I'm also hosting another Paper Pumpkin night on Feb 9th with the Filled With Love kit. Whether you have your own or would like to buy a refill kit, come on out and put together these sweet treat bags and cards with me! This month's Paper Pumpkin was another winner, 24 (yes twenty four!) goodie bags with gold trimmed tags! I added some extra card stock and got some cards out of them too. I'm going to be hosting an evening putting these together on February 9, get in touch if you'd like to come out and put together your kit or come try out Paper Pumpkin if you aren't a subscriber yet. As an extra bonus, check out what I did with the new "Better Than Email" stamp set along side my personalized stamp for the back of the cards! 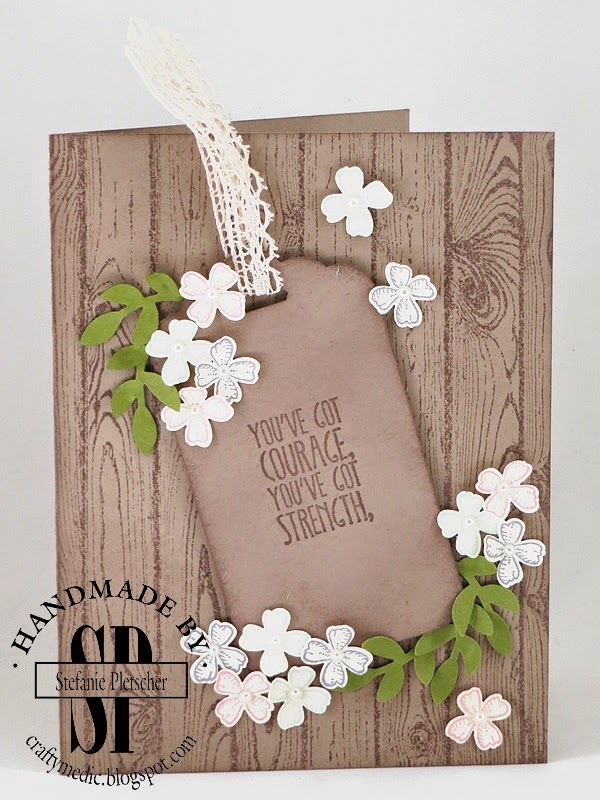 This set allows you to sell hand made cards in compliance with the Angel Policy, and it has some super cute sayings! Wacky Watercooler Welcome to 2015! 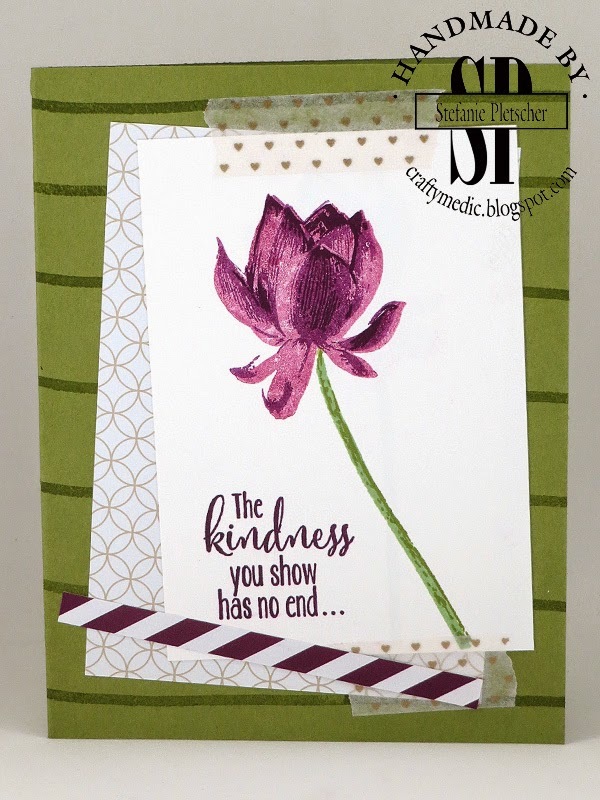 This weeks blog hop is all about new things! 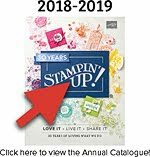 If you've never participated in a blog hop before, it's super easy, just follow along the "next" button at the bottom of this post to go along to Deborah's blog. If you've come to my post from Marie's, welcome! You can also always click home to go to the main blog page and see everyone who's participating listed there. Isn't that a great way of using the new dies? I cut out seven layers of card stock and used liquid glue to stack them before gluing the whole thing onto my card. Simple, effective, and still mailable! You could do this with similar colors to get an ombre look too, maybe I'll try that next! My next card is featuring some stamps from the annual catalogue I love, Petite Pairs (one of my all time favourites) and Something for Baby. Some designer series paper, some dimensionals, and another card done and ready to mail! Last but not least I CASEd Christine Giuda. I loved these tags she made up, and couldn't resist turning them into a card. 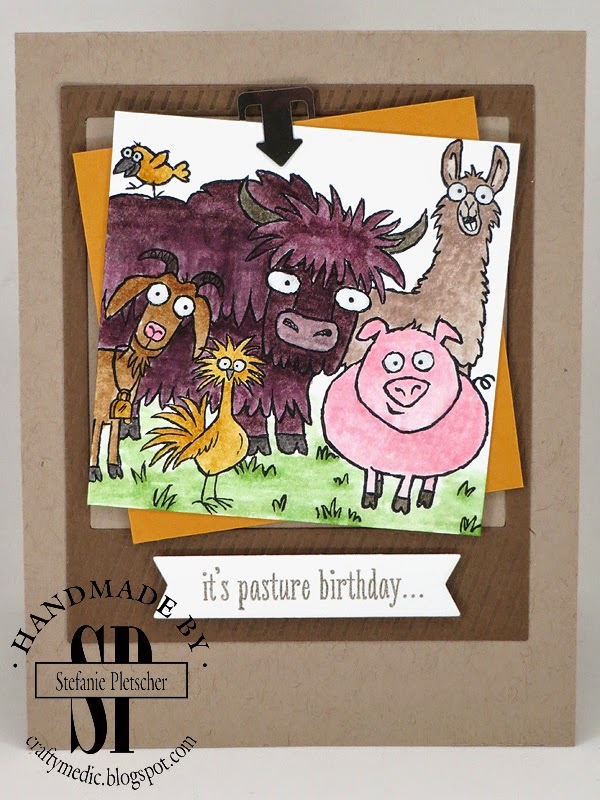 I hope you enjoyed my projects, click along to visit Deborah, and check out all the fabulous work these ladies have put in! 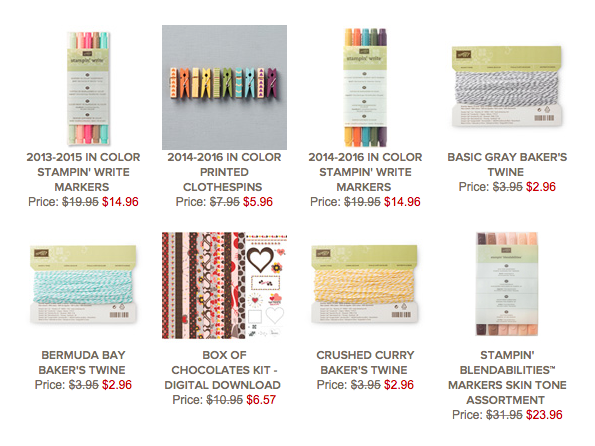 Another fantastic set of weekly deals! Another fabulous deal right now, you can get a three month Paper Pumpkin subscription for only $68.85, which is a discount of $6, PLUS you get to pick a free Sale-A-Bration item! And did you see that it's free? 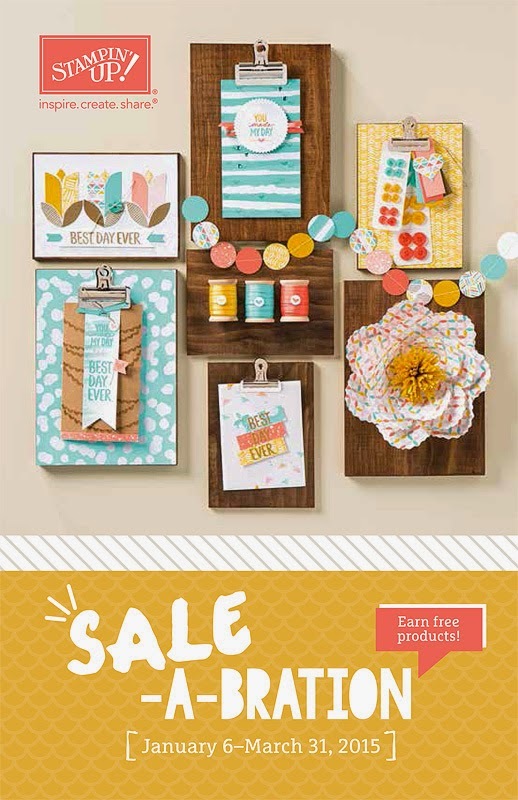 Check out the Sale-A-Bration brochure here to see some of the other fabulous things you could get for FREE when you place an order! This weeks weekly deals are awesome as usual. If you'd like to place an order, you can use the hostess code "N4PAJZAS" in the online store and you'll get some extra goodies from me too! There's also a new photopolymer set this week. 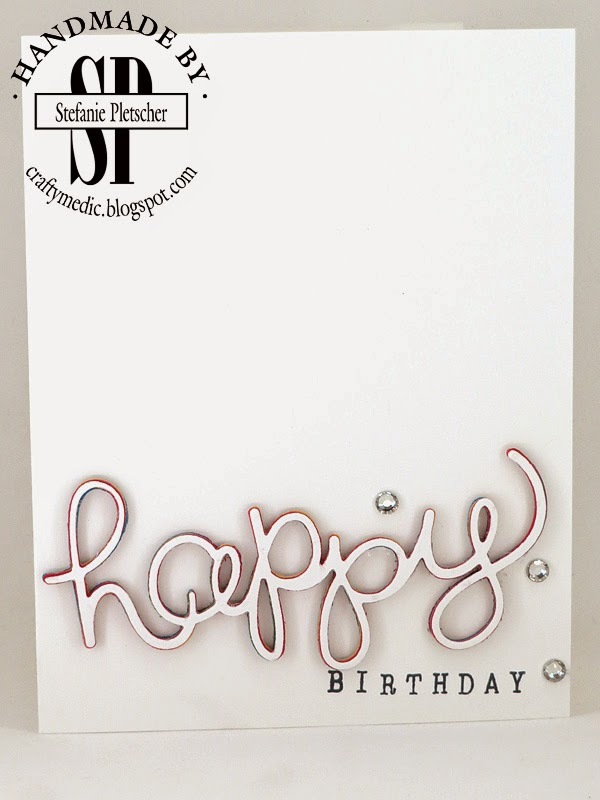 This one is meant for the back of your cards and other crafts, and complies with the Stampin' Up! Angel Policy. If you're wanting to sell your cards or crafts at all, the Angel Policy is worth a read. 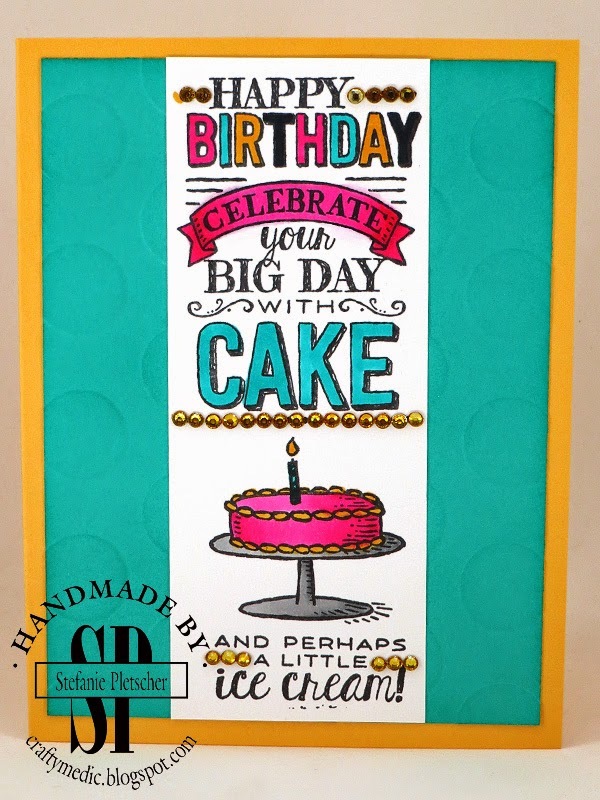 Tonight is my big Occasions Catalogue Launch Party! Come check out some of the great new products, make some cards, eat some snacks, have some laughs, and maybe win some door prizes! This card was made with a stamp set you can get for FREE during Sale-A-Bration, come out tonight or email me for more information! As always, you can click to order current products online, subscribe to My Paper Pumpkin, become a demonstrator, and contact me. 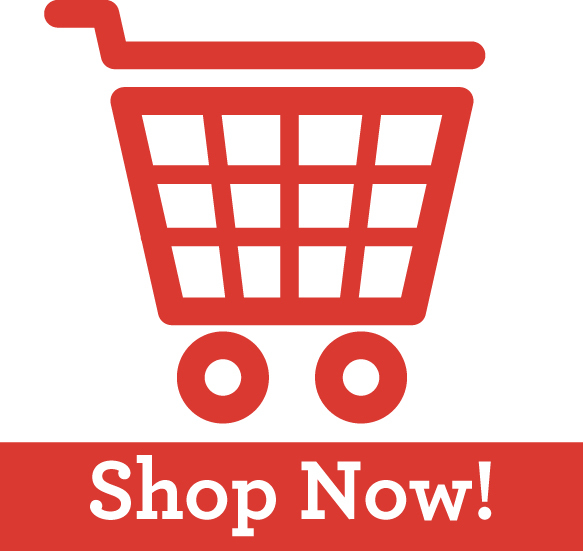 You can also click on the images below to be taken directly to that item's page in the online store. 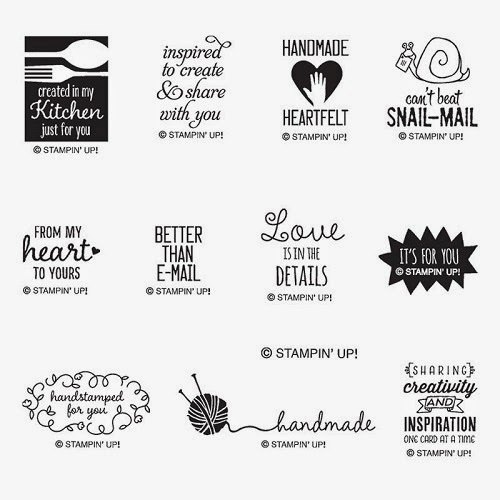 Another awesome Sale-A-Bration stamp set that you can get for free! You'll also get a chance to play with this set, and the ingenious way it's designed to work together, at my open house on Monday! Contact me for more information and to RSVP! 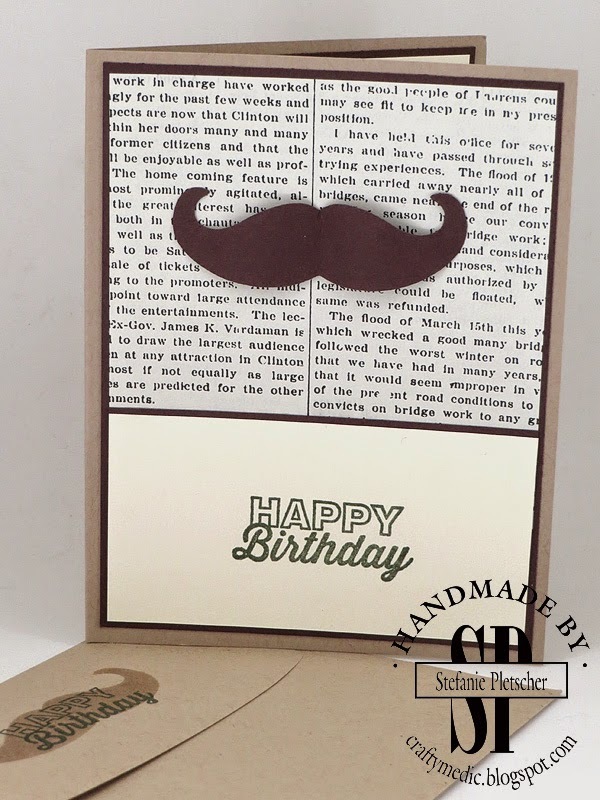 I had a couple of guy birthdays this month, so I busted out my moustache die again! I used a past Paper Pumpkin stamp for the sentiment, added in some gorgeous grunge for one of them, and Typeset specialty DSP to top it all off. 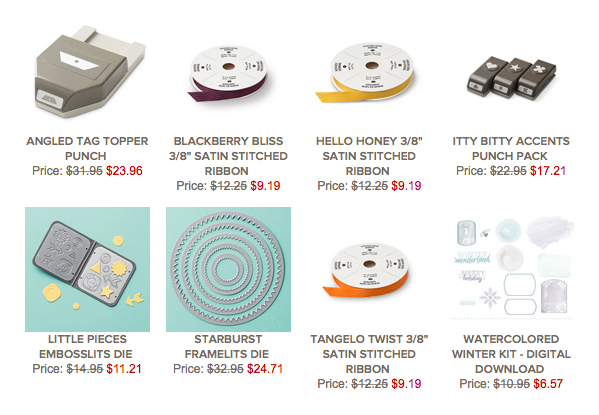 The DSP is even on sale this week! Today is the big day! 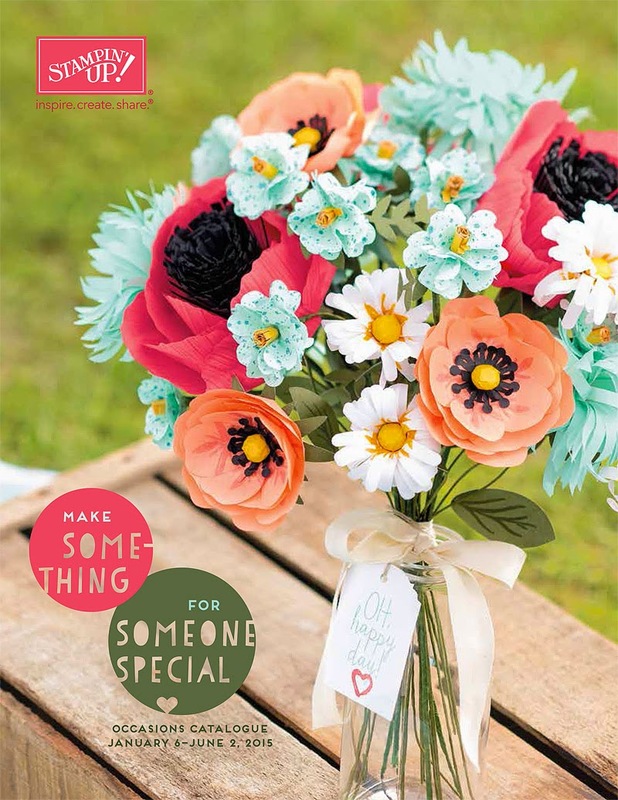 The Occasions Catalogue and Sale-A-Bration brochure are live, you can check out the fabulous new products on the online store. You can also take advantage of these Weekly Deals for the next seven days. I LOVE the Typeset Specialty DSP. I recently made this birthday card for a friend using it, so I figured I would share it with you today. Something else I love is adding some finishing touches to the inside of the card and the envelope. I find it just ties everything together for that extra bit of pizzaz, and it doesn't take up much time or supplies. Tomorrow is the first day os Sale-A-Bration 2015! 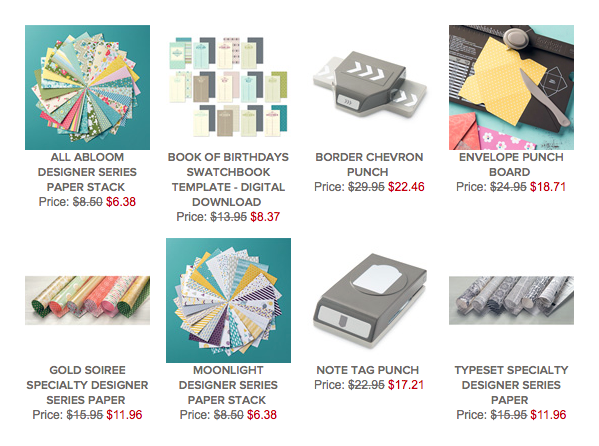 With that is the end of the holiday catalogue, which is kind of sad, but we get awesome new products in the occasions catalogue! If you don't have a copy of the new catalogue and SAB brochure yet, and live in Canada, email me and I'll make sure you get one! So if you have any last minute things you need from the holiday catalogue, head over to the online store, and check back tomorrow when you can start ordering from the occasions catalogue and get FREE Sale-A-Bration items!